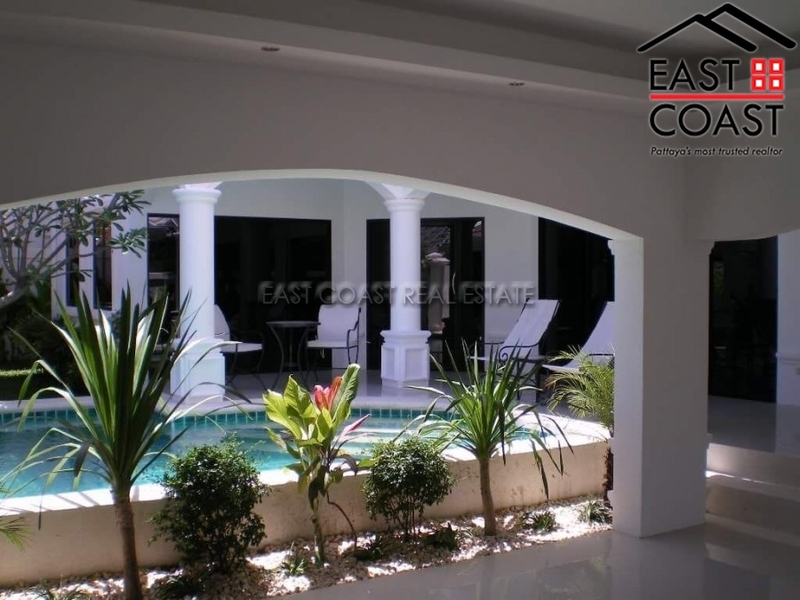 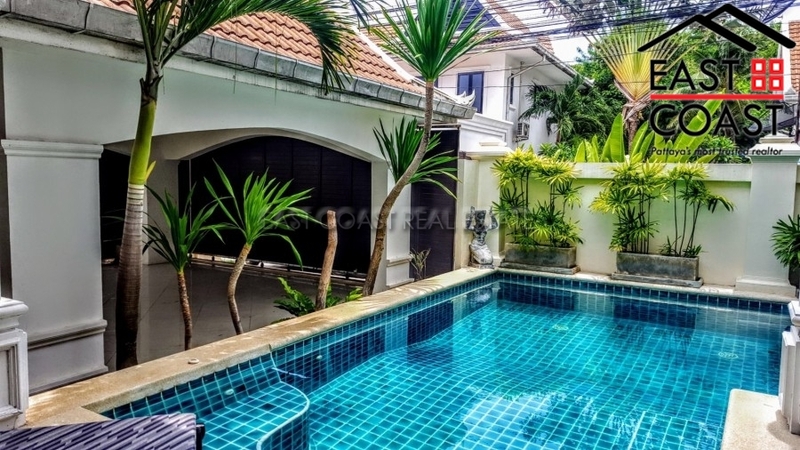 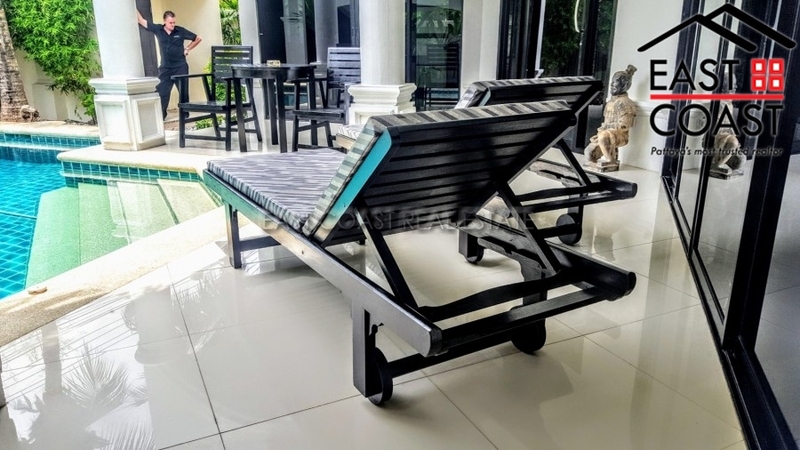 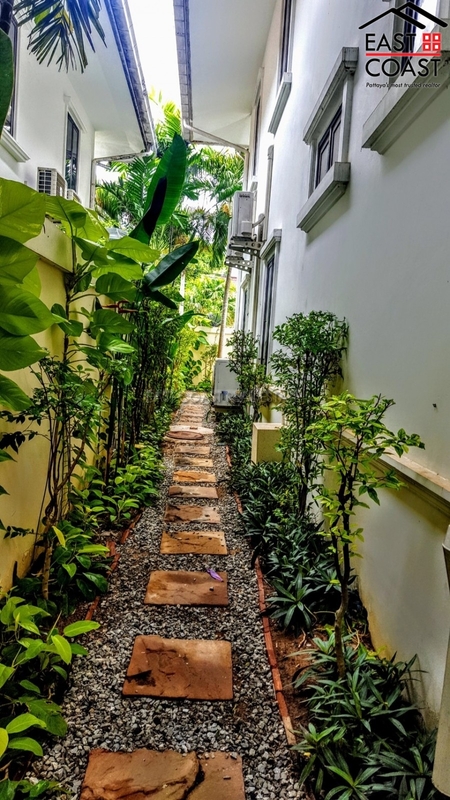 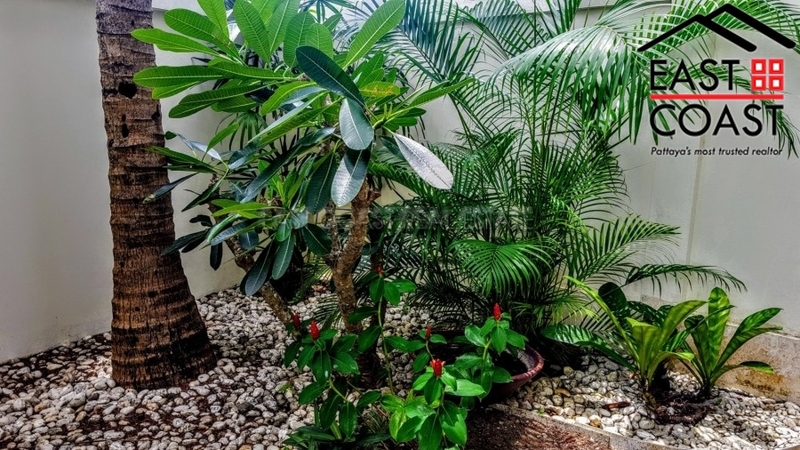 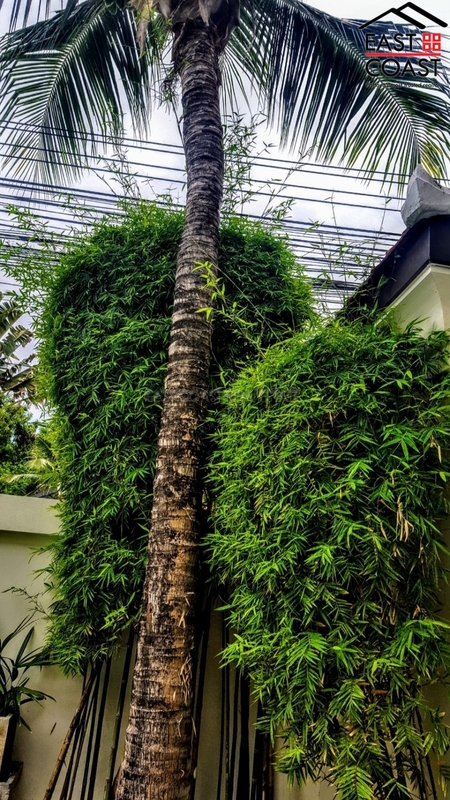 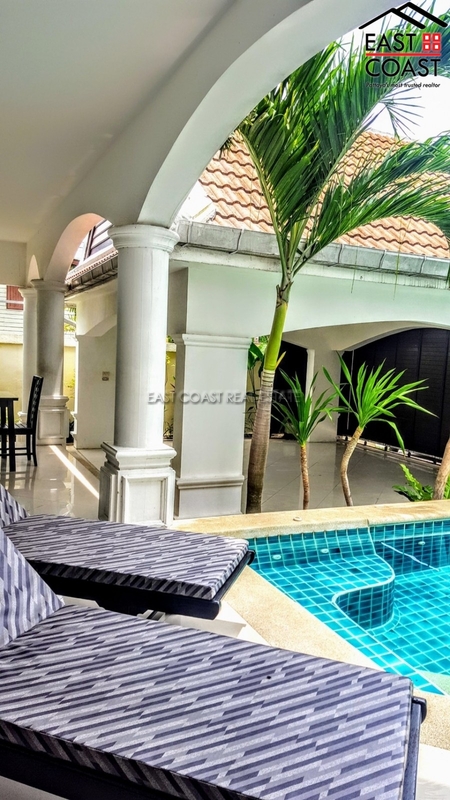 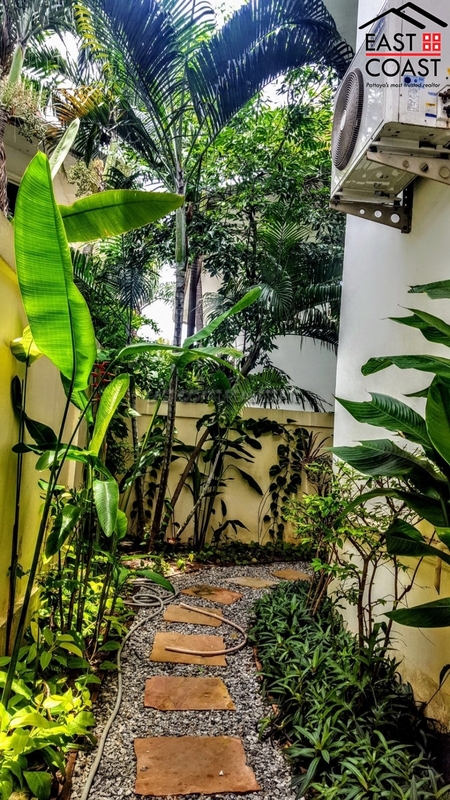 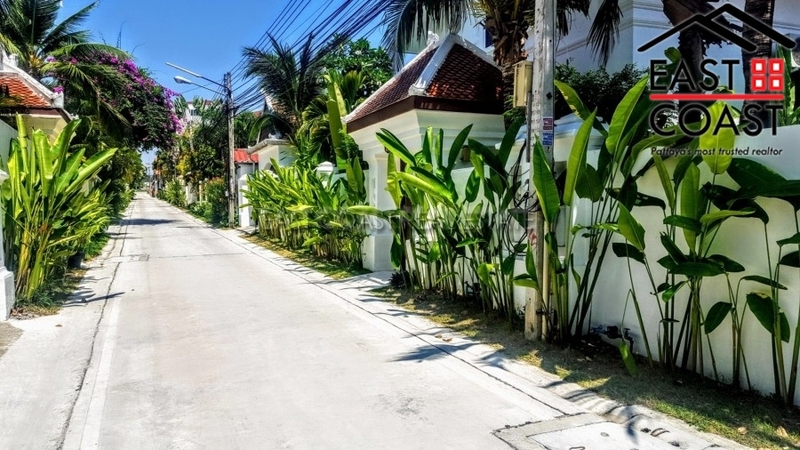 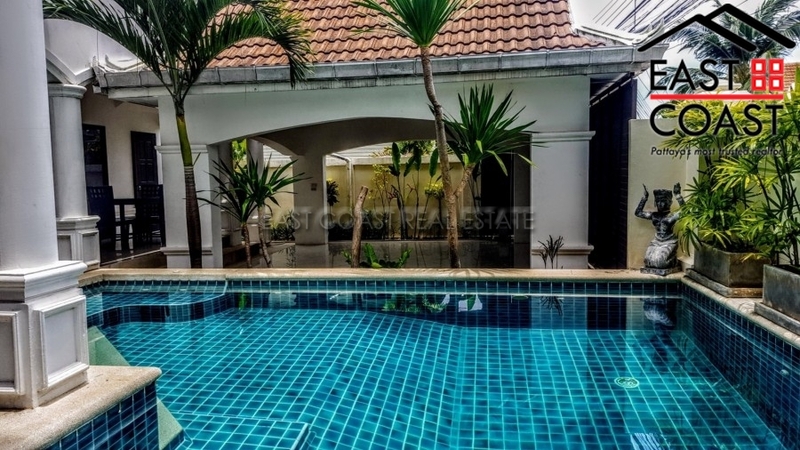 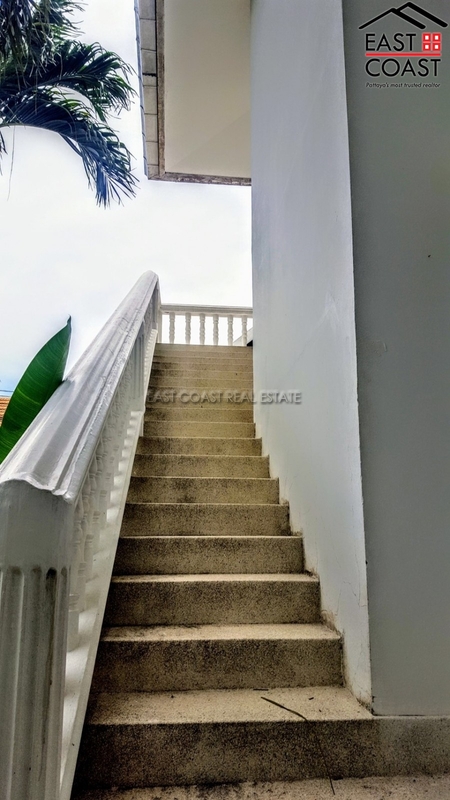 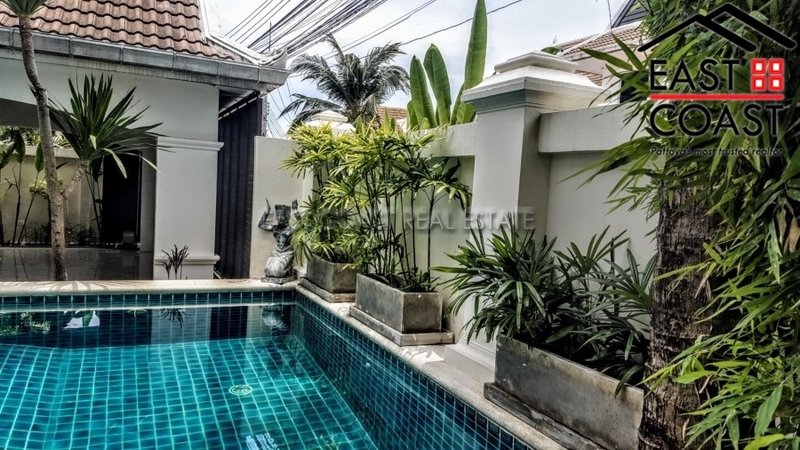 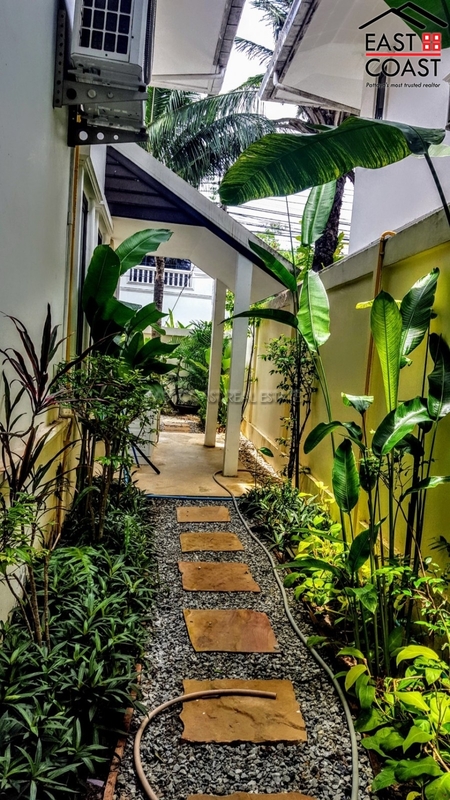 This house has a private swimming pool, large outside patio, landscaped gardens and is finished to a very high standard..
Close by is a Palm Grove Resort where there is an international restaurant, up-market bar and spa facilities. 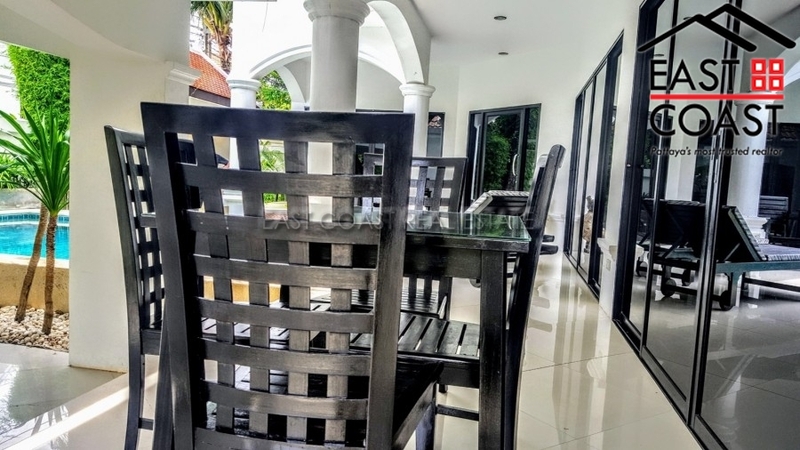 The house is offered for sale fully furnished and has a high end Western kitchen, luxury bathrooms and built in furniture. 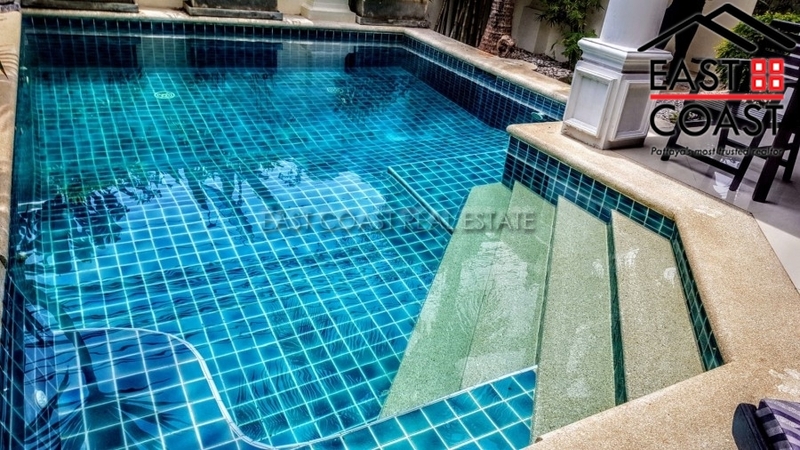 It is held in company name but the owner will split 50/50 if the buyer wants to register as Thai name ownership. 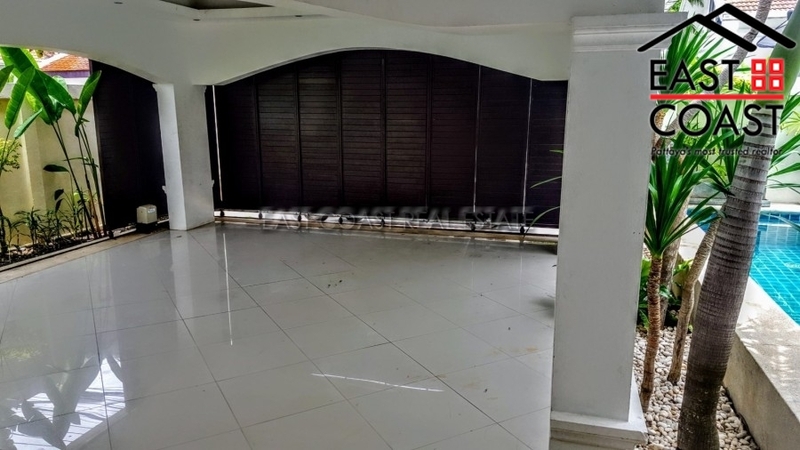 Living area : 228 sqm.